Q: What will help us win new business? 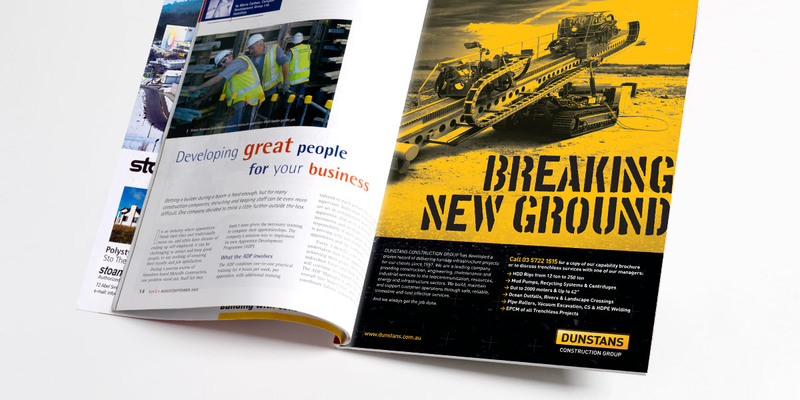 With a new company profile hot off the press, Dunstans were keen to be noticed by the right people in the construction sector. 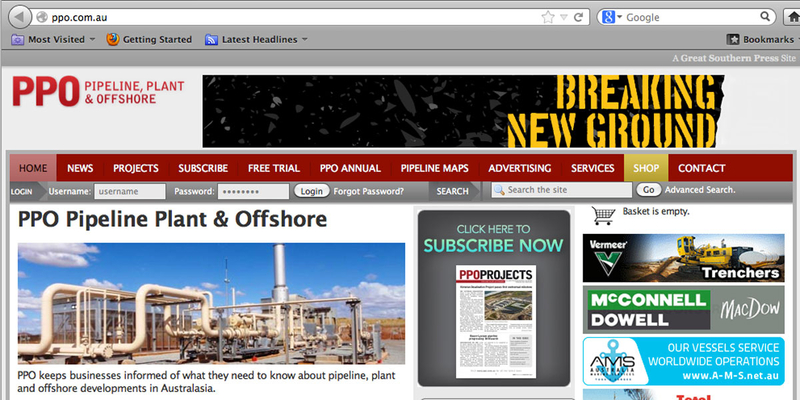 A print campaign in key industry publications such as The Australian Pipeliner and Trenchless Australia, is high impact and hard to miss. 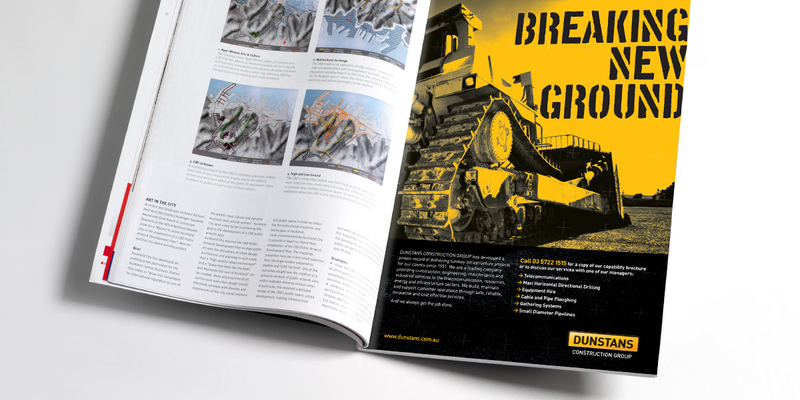 Full page adverts make good use of the black and yellow brand palette and powerful, rugged photography. A clear call to action helps with lead generation. 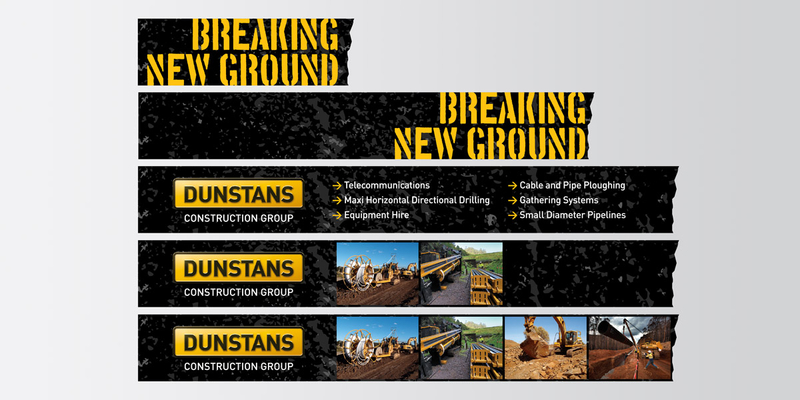 A clever animated web banner with a consistent message, sits proudly at the top of the Pipeline Plant & Offshore website, linking through to the Dunstans home page.